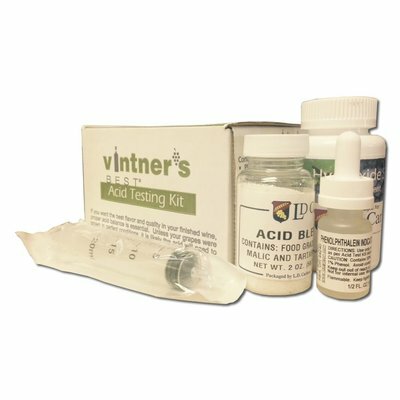 Acid Balance Is Important In Winemaking In Order To Ensure Great Flavor And Keeping Qualities In Finishing Wines. For Best Results It Is Vital To Measure And Adjust Acid Before Fermentation Commences. 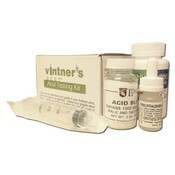 Kit Includes; One Plastic Syringe, One Testing Vial, 4 Oz. Sodium Hydroxide Solution, 3 Dram Phenolphthalein Color Solution.